The first thing you need to do is get down to some serious introspection. What do you value? What are your strengths? What do you want out of life? The reality is that you won’t ever get a job you enjoy – and that fits with your lifestyle – unless you understand what you want. Take a look at what’s important to you, and then look for careers that match your values. If you like helping people, there are a number of careers – from teaching to healthcare – that allow you to do that. Figure out what makes you “tick” and then focus on a career that fits into that mindset. This is also the step that requires you to take a look at your desired lifestyle, including the hours you work each week. If you don’t want to work 70 hours a week because spending time with your family is more important to you, then you’ll need to factor that in. You’ll also need to consider the lifestyle changes you are willing to make as a result of these values. If you are willing to accept less money for more flexibility and more time to yourself, you might need to change the way you spend money. In some cases, you might already have some of the training you need to begin a career that appeals to you. In other cases, you might need additional training. Find out what qualifications are required for your desired career, and then figure out how you will make that training happen. You might need to take a few classes to get a specific certification, or you may need to get a degree. Be realistic about what’s possible, though. There are times when you might need to rethink your specific career path and figure out if another career path can help you reach your goals and live according to your values without spending too much money. Another possibility is to look for ways to pay for your training. An employer might be willing to reimburse your costs, or you might be able to get student aid to help you along. There are times when the answer is simple: Start your own business. You can do your best to start a business that allows you to live your desired lifestyle while having the career you want. While you don’t want to put your current income stream in jeopardy, you can still, during your free time, research different business ideas and figure out what you might be able to do in order to make it work. Sometimes, the perfect career is the one you create for yourself. No matter what path you decide to take, though, it makes sense to pay attention to what’s available, and then make a plan to get into the career you want. 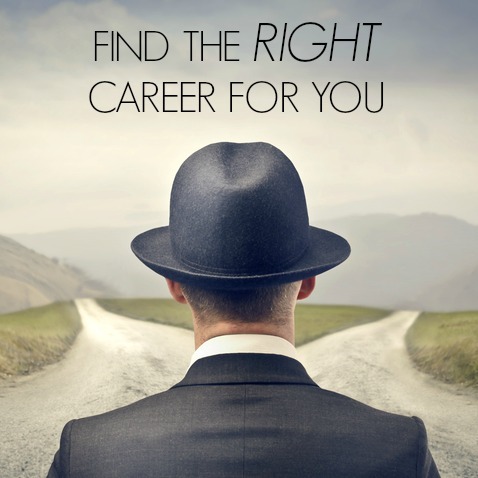 What are some steps you’re taking to find the right career for you? Leave a comment!